E-Z dessert! Can be made in oven also. Slice peaches, lay across a 10″x10″ pan. 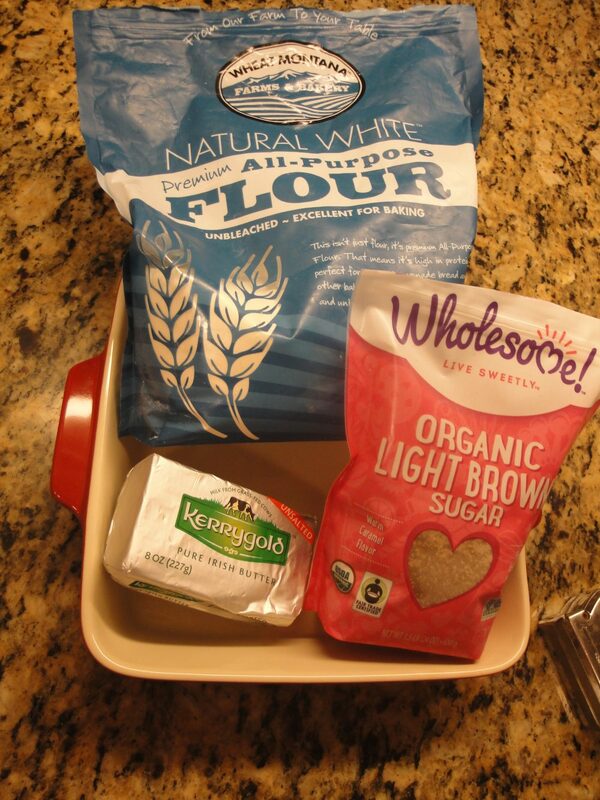 Mix flour, sugar & salt. Cut in butter, until it looks like small peas. Bake until top is browned, as shown. 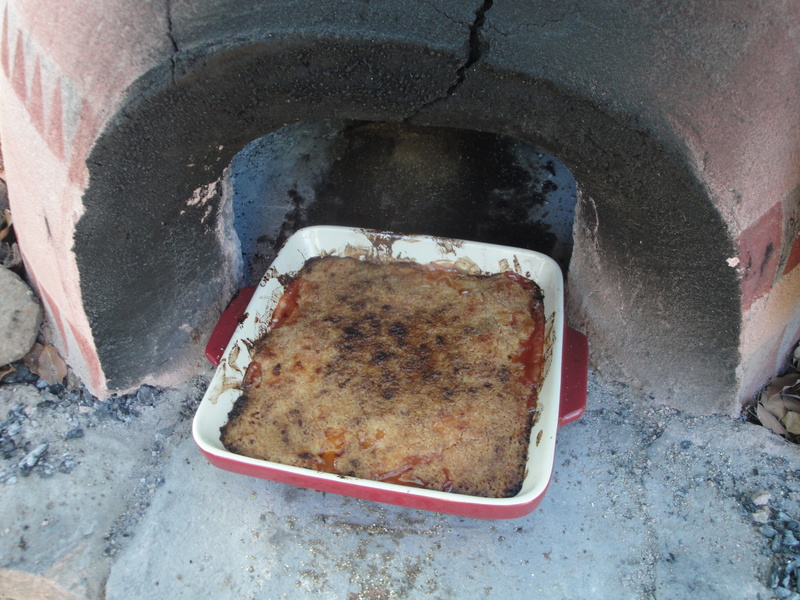 Regular oven, 350° 20-30 minutes. ice cream! Recipe coming soon. With your homemade ice cream. It’s what dreams are made of.